Goa University offers various postgraduate programmes such as MCA, MA, M.Com etc. MCA comes under the term of Computer Applications. The admission into these programmes is granted through the Goa University Admissions Ranking Test (GU-ART). GU-ART for MCA was scheduled to take place on January 27, 2019. After the examination has been conducted, the results has been published in the form of Merit Lists on the official website of the University itself. For more information about Goa University MCA entrance exam 2019, candidates can go through this article. Latest: Goa University MCA Result 2019 has been announced. Click here to check it. The admission to Post- Graduate Programmes shall be totally based on the Goa University Admissions Ranking Test (GU -ART). The marks percentage obtained by the students in graduation is going to be taken into consideration to decide the eligibility of the candidates for the programme. 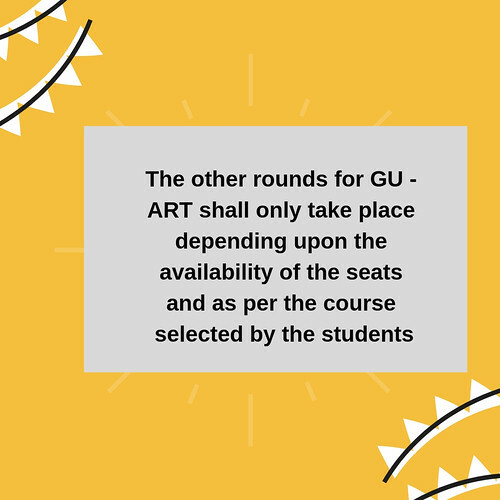 The main purpose of GU-ART is only to rank the candidates and not certify them as pass / fail. Candidates who have completed their Graduation or are in the Final year of Grdauation can also apply. Some candidates who are in the Final Year of Graduation shall be granted Provisional Admission. To take admission into MCA Programme, candidates must have secured 55% (50% in case of SC & OBC) aggregate marks at the first-degree examination. The candidates must have opted Mathematics at the HSSC (10+2) level or at a higher level. The candidates who want to apply for MCA programme are required to submit the application form online only. They can access the Goa University MCA Application Form from www.unigoa.ac.in. Candidates are required to first register themselves. After the registration is done, candidates are sent their login credentials. Using the login credentials, candidates can fill the Application Forms. Candidates must note that the application fee is non-refundable. Candidates can pay the application fee from the university’s GUMS Portal only. The Application Process for Goa University MCA is now over! The Hall Ticket for Goa University MCA is going to be made available online at the official website of University which is www.unigoa.ac.in. Candidates can attain their admit card from GUMS Portal. Goa University MCA Admit Card consists of information like name and address of the candidate, address of the test centre, date, day and time of the examination. It is to be noted that the Goa University MCA Admit Card is a noteworthy document which has to be taken to the examination centre as without it candidates cannot appear for the examination. Total Number of Questions: There are going to be 100 questions in total. Nature of Questions: There will be 50 objective type Multiple Choice Questions. Duration: GU-ART Examination is going to be of 90 minutes. Marking Scheme: For every correct answer, candidates are going to be awarded with 02 marks. 0.5 marks are going to be cut for every incorrect answer. No marks will be deducted for unanswered questions. The Result for Goa University for MCA Programme has been announced at the official website of the University i.e. www.unigoa.ac.in, It is to be noted that the result has been published in the merit lists which will indicate the ranks obtained by the candidates in the examination. If two or more are going to have the same marks, then the tie- breaker criteria shall be applied. Section 3 scores shall be the first thing which will be taken into consideration to break the tie. If the tie still persists, then Section 2 marks are going to be considered. If there is a tie even after the above criteria then the University is going to set its own scheme to break the tie. After the end of every round, the counselling is going to take place for the qualified candidates. The candidates are required to confirm their selection of courses at the time of counselling. The seats are going to be allotted to candidates on the basis of their ranks and as per the availability of seats in the university and its affiliated colleges. Candidates who are going to be selected are required to pay their fees at the time of counselling confirming their admission. After the Round 1, the result shall be declared for Round 1 and the respective shall be allotted to students on the basis of their marks in Round 1. The seats are going to be allotted to the rank holders in the University as well as in the affiliated colleges in the Counselling Process in which candidates are required to confirm their selection of course. The candidates who are going to be selected and given seats are required to pay the fees at that time of Counselling only. 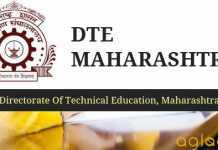 If after the first round of test there are any vacant seats at the University Department or at the affiliated college, then, additional rounds are going to take place. 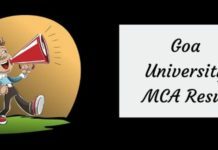 For more detail of Goa University MCA Admission 2019 – Download Prospectus.